It turns out good things do not come to those who wait. For the folks in Mississauga, Ontario, one year after being directed to study the impact of a disposable plastic bag ban, the waste management committee ruled against implementing a ban. Reasons cited for not banning disposable plastic bags ranged from loss of single use plastic bag manufacturing jobs and possible legal troubles which was the case when nearby Toronto attempted to pass a ban. There is no talk of revisiting this issue although disposable plastic bag use is in check in Mississauga due to public outreach efforts and a 5-cent fee levied on single use bags. 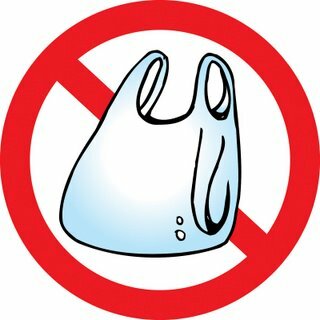 Single use plastic bags are banned throughout Truckee, a city about a 30-minute drive from Lake Tahoe, after the Town Council unanimously voted in favor of the measure. The law also levies a 10-cent fee on paper bags given out at the checkout and mandates that the paper bag fee appear as an itemized item on receipts and calls on retailers to track how many paper bags they hand out for the first three years of the ban. Retailers are allowed to keep the paper bag fee to offset their expenses. The ordinance will become law 30 days after it was approved, so by the end of December, but the law will not become enforceable until June 1, 2014. California continues to be the center of disposable plastic bags bans as the state in closing in on almost 100 different cities and municipalities that currently have single use bag bans on the books – and there are several areas proposing, discussing and in the process of passing bans so the state will likely pass the milestone of 100 bans before the halfway point of 2014. Check out our map to learn more and if you know of areas that have single use plastic bag bans that are missing from our map let us know!